Sea snails are Marine Gastropods that have shells and are the most prolific of the seven Mollusc groups. The class Gastropoda, meaning "stomach-foot" contains about 70% of the Molluscan species (around 35,000). 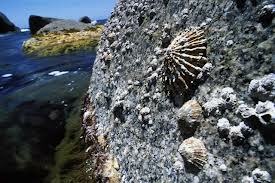 The shells of most Marine Snails are spirally coiled, like Conch, Whelks and the Periwinkles. There are some Sea Snails however, that have flattened conical or pyramid shaped shells, and are generally called Limpets. Many Sea Snails attach themselves to a hard substrate, like rocks, boat hulls or pilings using pedal mucus and a foot-like appendage. The mucus acts as a glue, allowing the animal to stick to the substrate it is crawling on. This adhesive ability is very important to the Sea Snails that live in inter-tidal habitats where the forces of waves and gravity must be resisted. Sea Snails are found in all marine habitats, from estuaries and coastal shores to the deepest depths of the ocean floor. Most Sea Snails have a well-developed head, with a foot or tentacles and eyes. They withdraw their body into their shell when inactive or threatened. For added protection some have a disc called the operculum, attached to their foot, that covers the shell opening when the snail withdraws inside. 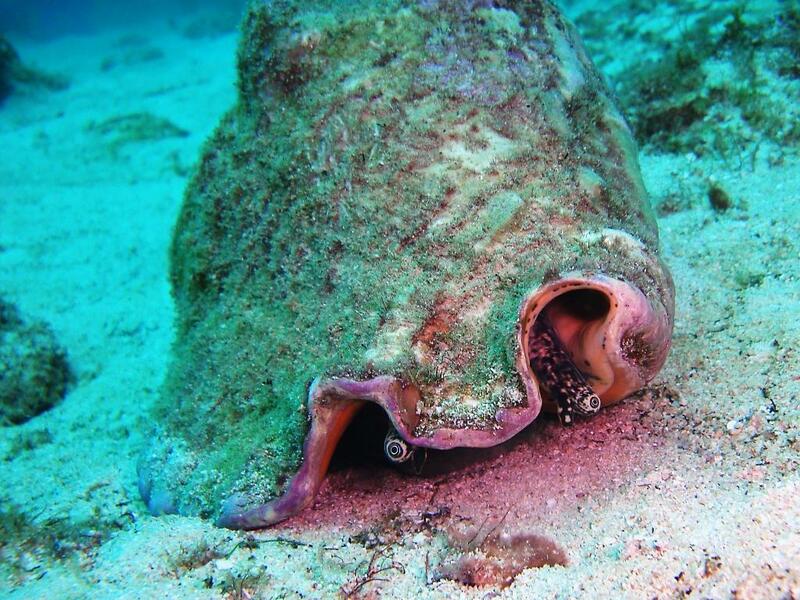 The most popular of all edible marine snails is the Queen Conch, which is native to Caribbean waters. Sea Snails move using wave-like muscular contractions of their "foot" when conditions are suitable for them to forage or relocate. The edible meat of sea snails come from this single, long foot common to all snails. They can also "clamp down" against the hard substrate with considerable force when necessary. This ability enables them to remain safely attached, despite the dangerous wave action on exposed rocky shores. It also seals the shell edge against the rock surface, protecting them from drying out during low tide, despite being in full sunlight. Cittarium pica also known as West Indian Top Shells, Magpie Shells, Wilks, Bulgao, Caracoles, Quigua and Cigua, and as I call them Whelks, are an edible species of Sea Snail found in the Caribbean. the Spiny Lobster, Panulirus argus and the Queen Conch, Eustrombus gigas. Like it's counterparts here, it has gone locally extinct in some habitats due to over-fishing. The species is also native to Bermuda, but was wiped out by over-fishing after colonization. Since then, there have been efforts to reintroduce the species. Patellogastropoda is the scientific name for True Limpets, which are also known as Lapas, Opihi and Báirnach. 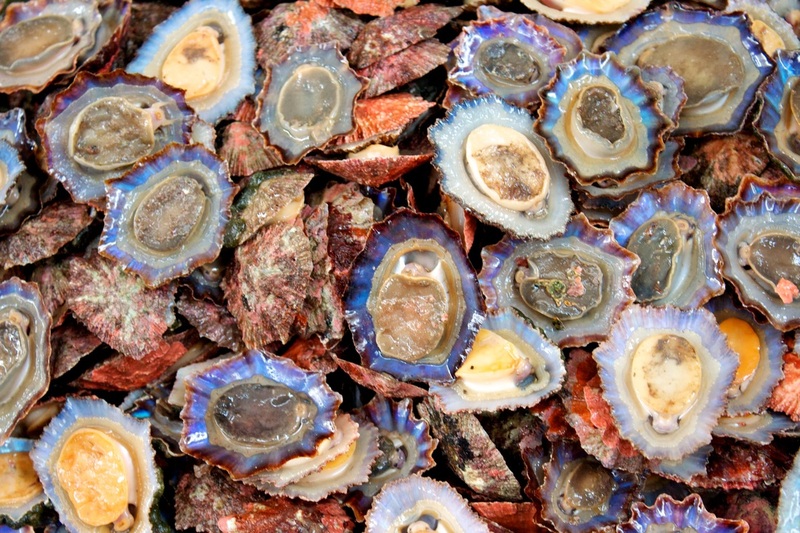 They have flattened, cone-shaped shells, and some species of Limpet have holes at the top of the cone. because their shells usually blend in with the rocks. 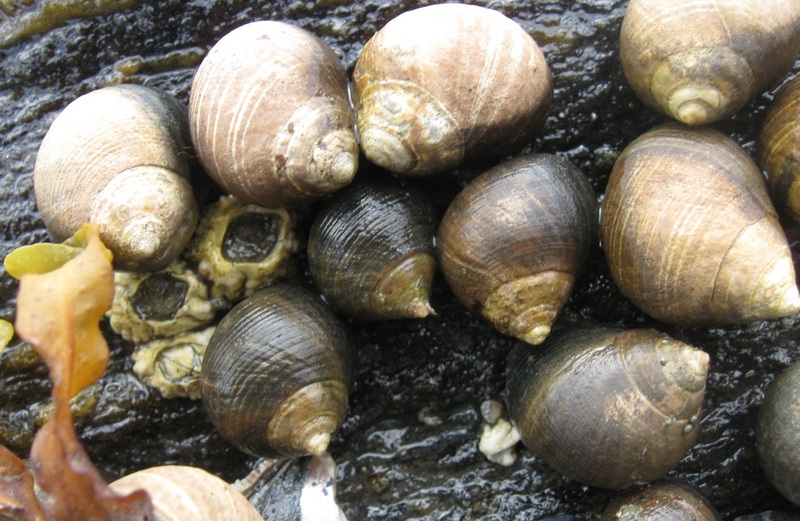 The most common colors for Periwinkles are grayish brown and yellow. Littorina littorea, The Common Periwinkle is small species of edible Sea Snail. Like the Whelks, it is a marine gastropod that has a spiral shell. 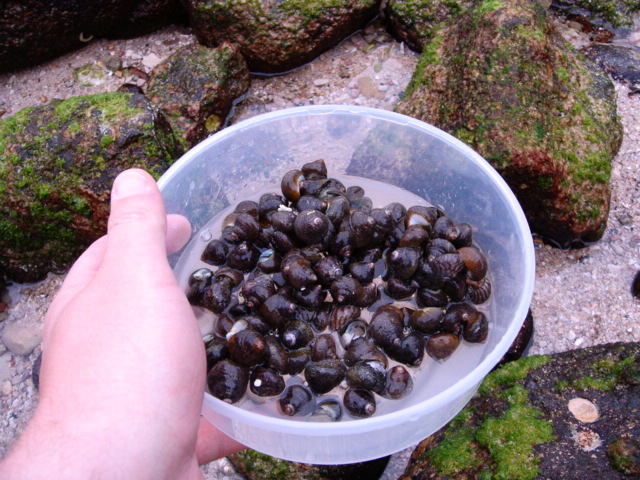 Though the term "Periwinkle" is often given to any small edible marine snail, the Common Periwinkle, Littorina littorea, is the most well known of all of the periwinkles as they are the most commonly eaten. They are an adaptable species as they thrive in different salinities and exposure levels; and across most beach zones, making them very abundant. 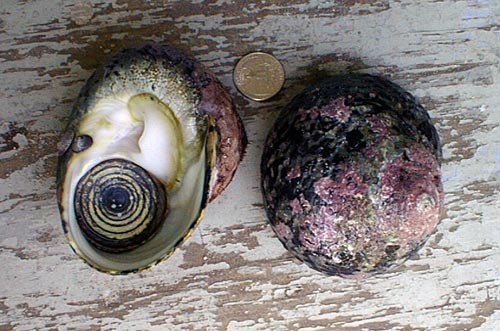 The color of the shell widely varies, most commonly being brown or yellow, but can be white, green or even banded. The largest edible periwinkle can reach a size of up to 2 inches.